Orlando City returns home after winning their third straight game and their first away win of the season to take on the San Jose Earthquakes who are winless in their last four. San Jose sits on five points through five games this season which for the Southern Cali faithful is significantly below where they should be especially after three home games. On the other hand, Orlando sits on ten points in six games, despite going winless in their first three games many would think they have turned around nicely on the backs of some come-from-behind wins. In the last three years, Orlando and San Jose have met three times and there has never been a winner in this matchup, ever. 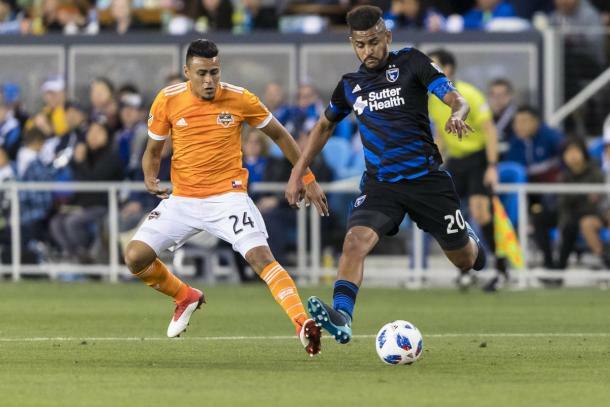 In the first match, Orlando traveled to Santa Clara in late May for the first (and technically last since the Earthquakes no longer play in Levi’s Stadium) and a standard 0-0 game was turned around halfway through the second half. Both teams struck within three minutes of each other as Kaka scored from the spot in the 65th and Chris Wondolowski did the same exact thing in the 68th. Just about a year later San Jose came to sunny Central Florida for more late-game drama. Seb Hines scored in the 66th minute which felt like the only goal in the match until a Chad Barrett equalizer in the 85th surely a 1-1 result was on the cards. Julio Baptista had other thoughts scoring what should be the late winner in the 91st but San Jose wanted to keep the trend of equalizing just three minutes after Orlando scored a “winner” and Shea Salinas finished in the 94th. In their return to the west coast to take on San Jose last season another draw was on the cards. Again like the last trip, it would take most of the game for Orlando to find the back of the net but in the 80th minute, Carlos Rivas broke through to give the Lions the lead. But, a bit like a broken record, Wondolowski found the back of the net just three minutes later to secure the home point. Orlando City: The lineup could have some creative switching around for Jason Kreis this weekend given some injuries in the last two games. Jonathan Spector is out for the time being with a concussion, the Lion’s skipper missed out on last week's match against the Philadelphia Union for this exact reason. Joining him on the current injury list are right backs Scott Sutter and RJ Allen who suffered “lower body injuries” and were defined as day-to-day for this weekend's match. San Jose Earthquakes: San Jose enters this match free of almost any injury or ailment. The only listed missing player is Tommy Thompson who has an illness. Otherwise, San Jose should be lining up close to how they have lined up all season.